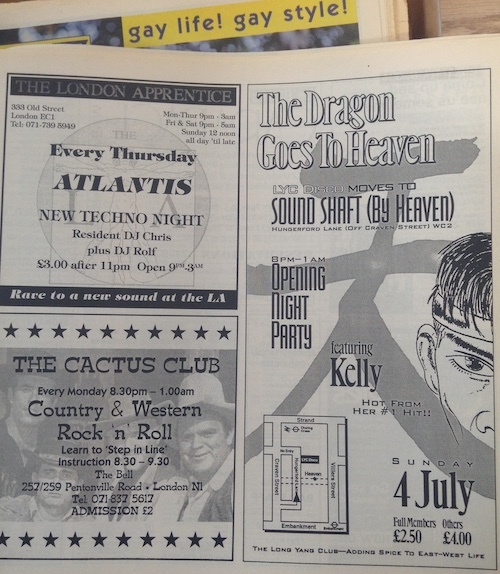 THE CACTUS CLUB - London’s first gay line and partner dance club begins at The Bell in King’s Cross with deejay Jo Purvis and instructor Peter Flockhart. Peter and Nick begin LINES AND SQUARES, a line and square dancing tuition night on Tuesdays at The Bell. THE CACTUS CLUB goes twice weekly on Mondays and Fridays. Other gay line dance clubs begin to appear in London and across the country as the line dance craze takes off nationally. Nick keeps his hand in teaching and dee-jaying regularly for BRIGHTON RAWHIDE and MIDNIGHT COWBOYS dance weekends, and helps launch PRAIRIE DOGSin Manchester, the only other gay line dance club in the UK still in existence today. 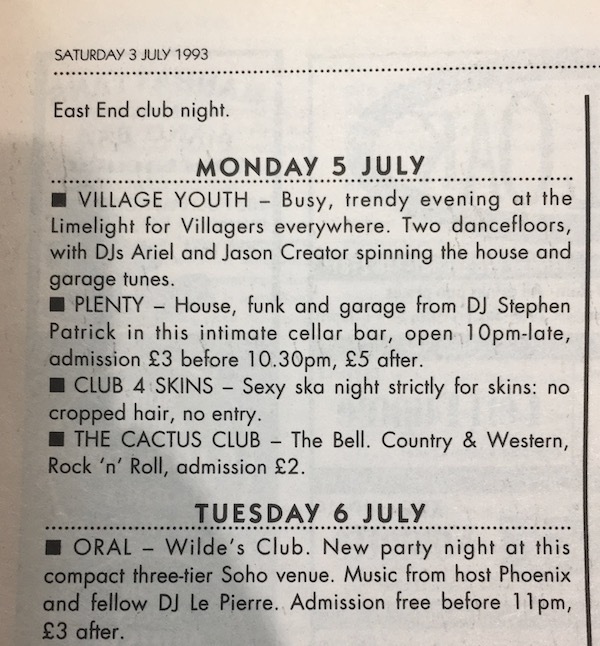 BIG BEAR COUNTRY, an early attempt at a bear’s line dance night, is launched by Nick and Peter at THE FATHER REDCAP in Camberwell, but fails to take off, and only lasts a few weeks.